I have continued to use the Katadyn BeFree filter over the past couple months on a couple more backpacking trips. Durability has been great over the past couple months with no issues, but ease of use, well it is still easy to use, but there were some hiccups. Click HERE to read my final update. The Katadyn Be Free filter has accompanied me on all of my adventures this summer – backpacking in Mississippi, local Louisiana hikes, and remote mountain running in Alaska. The BeFree has worked well in all situations and ensured that I had a clean source of water! Read on for my full update. 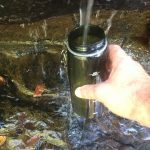 Water Filtration has come a long way since I started backpacking in the days of iodine tablets and Polar Pure. Even the days of pumps might be long gone. 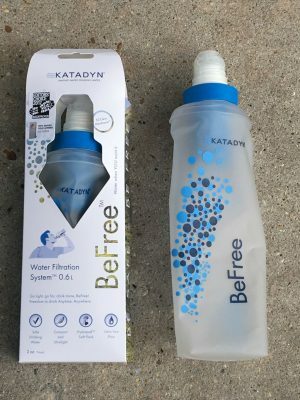 Katadyn has introduced the hand held water filtration called the BeFree. I am fortunate to be reviewing this cool new water filtration device over the next few months. Read on for my initial thoughts. 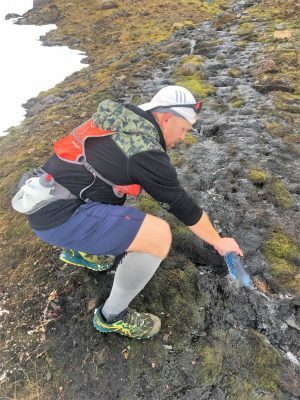 I have mostly used the Lifestraw Go on long day hikes with a waist pack. It has allowed me to stay out longer while carrying less weight in my pack. My trips were usually 3 or 4 miles and took anywhere from 2 to 3 hours. It has worked very well on the type water I have used it for. To read the rest of my update please click here.